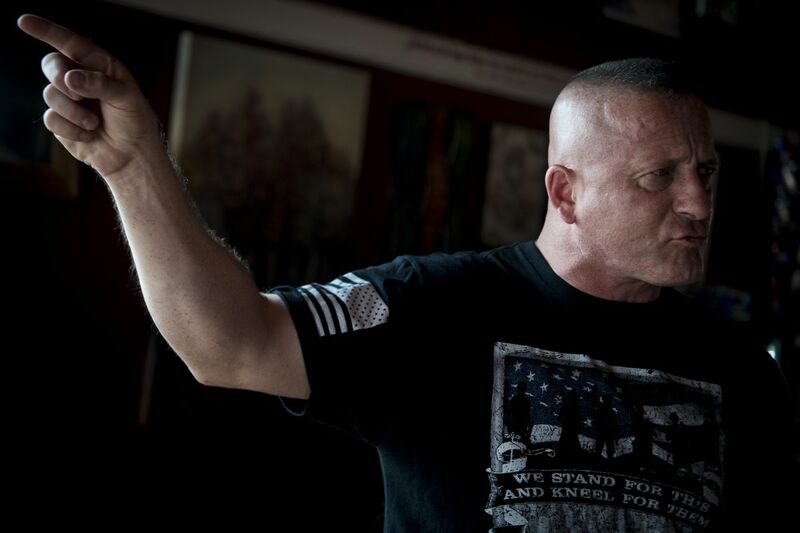 Former Army Ranger Richard Ojeda, who got elected to the West Virginia Senate in 2016 and rose quickly as a vocal advocate for underpaid West Virginia teachers, jumped into the race early this year for the 3rd West Virginia Congressional seat. The district had been held by a Democrat for almost 40 years but had drifted into the Republican column during the administration of a black man in the White House. We noticed Ojeda as a rising star back in June and liked his rough edges and his ironman persona, as well as his chances for flipping that seat for the Democrats. In July, elections prognosticator Larry Sabato moved the West Virginia 3rd to "toss-up" status. It didn't happen. In fact, Ojeda really didn't come that close, taking only 43.59% of the vote against a weak-looking woman who had bragged that she always prays before each vote. Now Ojeda has announced he's running for president of the United States. He's a working man's working man, and his advocacy for better teacher pay endeared him to thousands. Realistically, maybe he doesn't have a ghost's chance, but he's exactly the kind of dirty fingernails Democrat that we need to overthrow the money-changers and return the Republic to the people. Just yesterday, Ojeda said this about Trump: "Let me tell you something: He's got to stop with the hate. Just think about this, it's Veterans Day, and because it's cloudy, he chose not to go Arlington Cemetery and pay his respect. This is a person who'd fight with NFL players for not standing for the national anthem, but he doesn't pay his respect to people who have given their lives for this nation. He travels across middle America and stands in front of people with no awareness of what their lives are like." Ojeda defended his decision to run for president to Dave Weigel in today's WashPost: "I am the person who can get people who voted for Trump to come over, because I relate to them. The majority of people who'd throw their hat into this ring are cookie-cutter politicians. Many of them will be very wealthy. And I'm sorry, the majority of people are starting to realize that those people don't relate to them. Those people have no concept of what life is like for them, what life is like for the parent just trying to put food on the table." He practices a stiff-arm honesty that is not characteristic of most men who want to be president: "I am the person who can get people who voted for Trump to come over, because I relate to them. The majority of people who'd throw their hat into this ring are cookie-cutter politicians. Many of them will be very wealthy. And I'm sorry, the majority of people are starting to realize that those people don't relate to them. Those people have no concept of what life is like for them, what life is like for the parent just trying to put food on the table." More Democrats need to talk like that, but you have to think like that first, you have to come from neediness rather than cushiness. Here's what Ojeda says about coal mining in his home state (remember that Twitterman told coal miners he was going to save them): "I'm not going to lie to coal miners. Coal mining will never ever be the way that it used to be. I believe there is a need for metallurgical coal, to rebuild our infrastructure and our military might, but coal is not going to be something that can sustain people, and that will come sooner than later. We need to be honest in areas that rely on coal, so we can transition those coal miners into something else. And it's got to be more than minimum-wage goals. You can't take someone who's making $90,000 a year and tell him he's going to be making $22,000." I'm glad Ojeda will be part of the debate. As far as I'm concerned, he's exactly what Bernie Sanders has been hoping for. This man rocks. Dems ignore his message at their peril, because they need to get their union base and working people back, they can't just go on condemning them all as racist Trump bots.